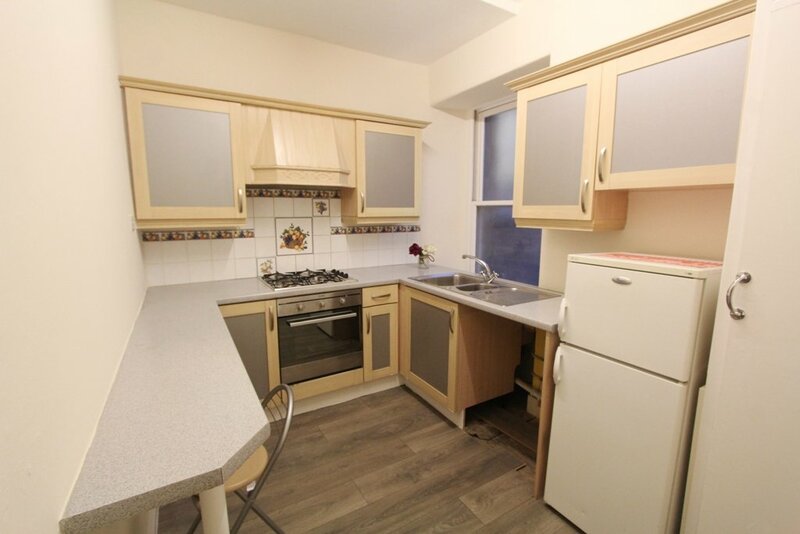 This centrally located bright, attractive top floor flat provides spacious accommodation as a one bedroom property in the centre of Town and has been recently redecorated throughout and presented in a ready to move in condition, with all fixtures and fittings included in the sale price. Further upgrades have been carried out to prepare the property for the residential let market, with all electrical & gas certificates in place. 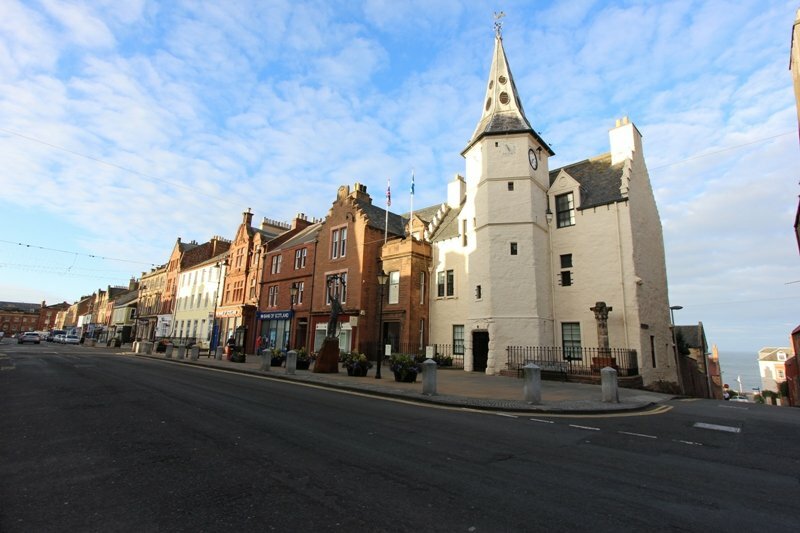 Benefiting from a secure entry system within a traditional tenement style building the flat is only a few minutes’ walk from the main line railway station and surrounded by many local amenities. 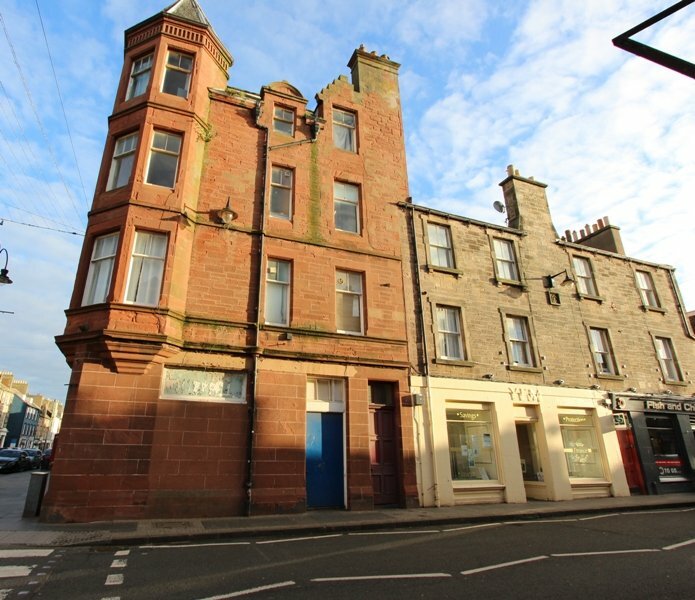 Accessed via a secure entry door leading to a communal stair within this traditional tenement building the property is located on the top floor with a bright welcoming hallway leading into all other accommodation. 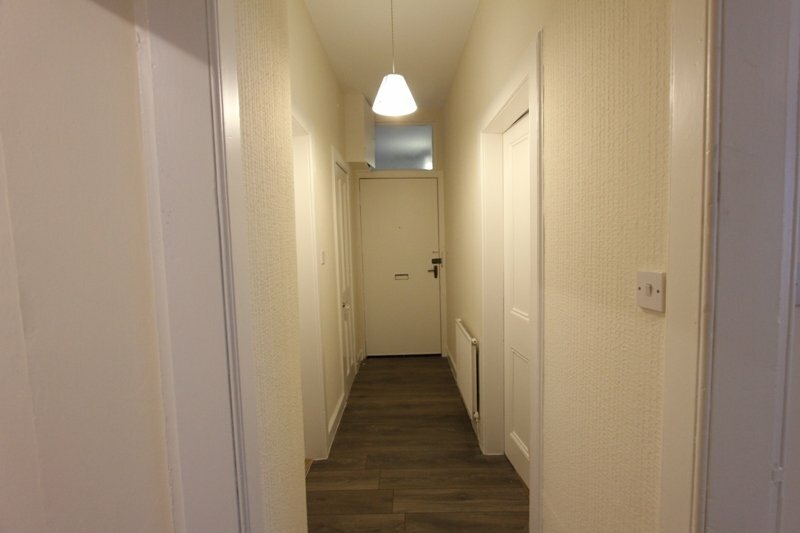 The hallway, neutrally decorated, with dark laminate flooring houses two storage cupboards, one being extremely deep and could easily be utilised as a small study/office, with the other being an ideal cloak cupboard and housing the gas meter. Dark wood effect laminate flooring continues from the hall into the sunny modern kitchen, which lies to the rear of the flat. With a neatly fitted breakfast bar, large boiler cupboard and light wood effect wall and base units with matt grey fronts, this room provides ample dining and cooking space. Fitted appliances include an integrated gas hob, electric oven and cooker hood, with an additional fridge freezer included in the sale price. 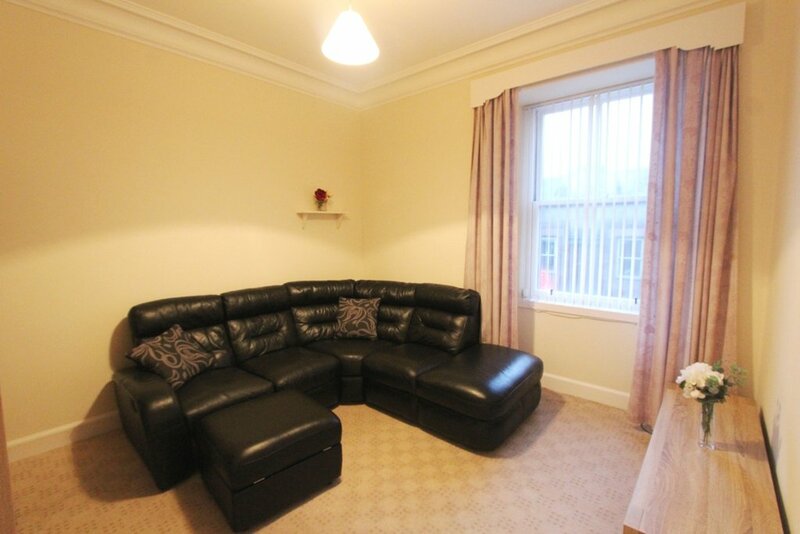 A large window overlooks the rear of the property giving this room a light airy feel. 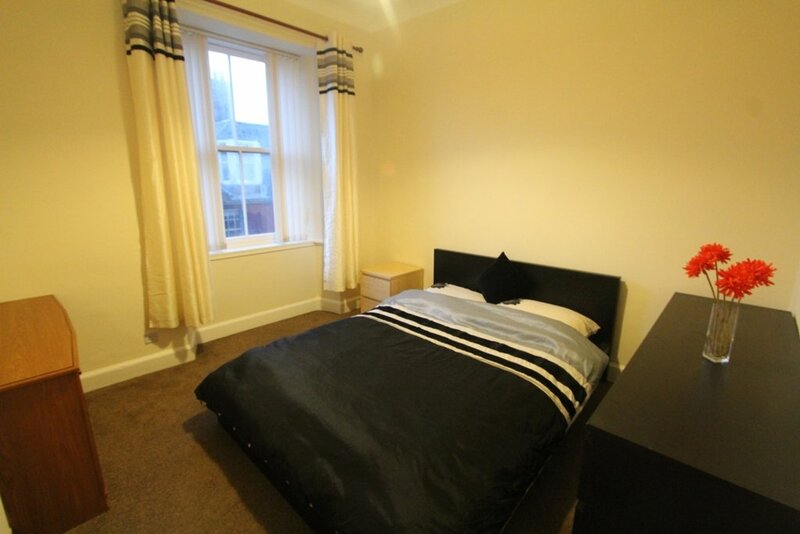 The two carpeted rooms to the front of the property provide ideal lounge and bedroom space. 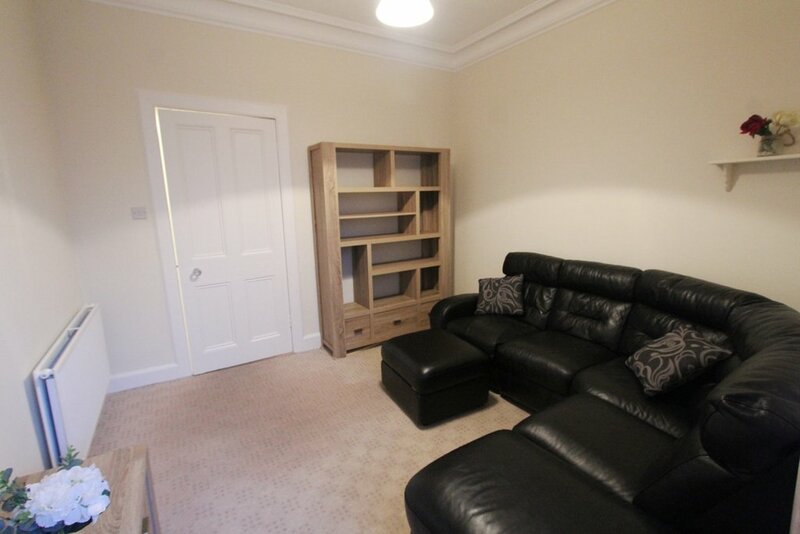 Both rooms have been neutrally decorated, to include the painting of the window frames. 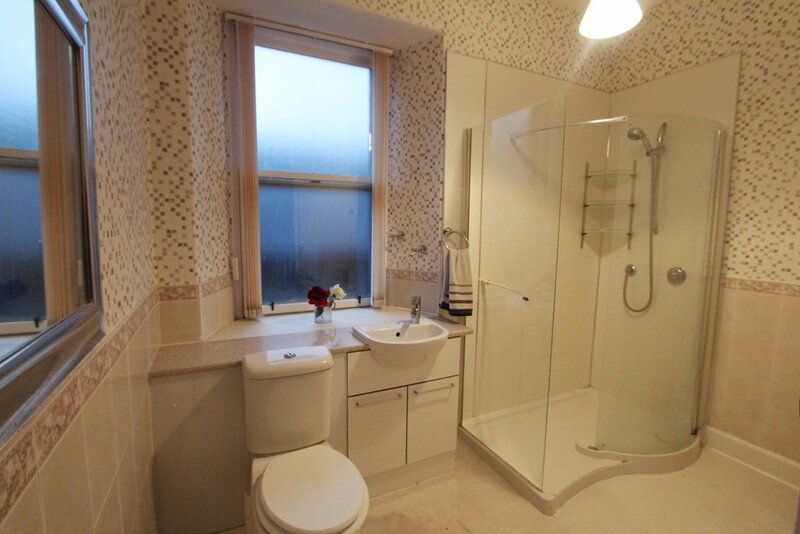 The exceptionally large shower room offers a double shower cubicle with mains shower, modern fitted vanity unit with WC and wash hand basin and a further large storage/airing cupboard is also situated in the shower room. All window dressings are included in the sale along with the fixtures and fittings. 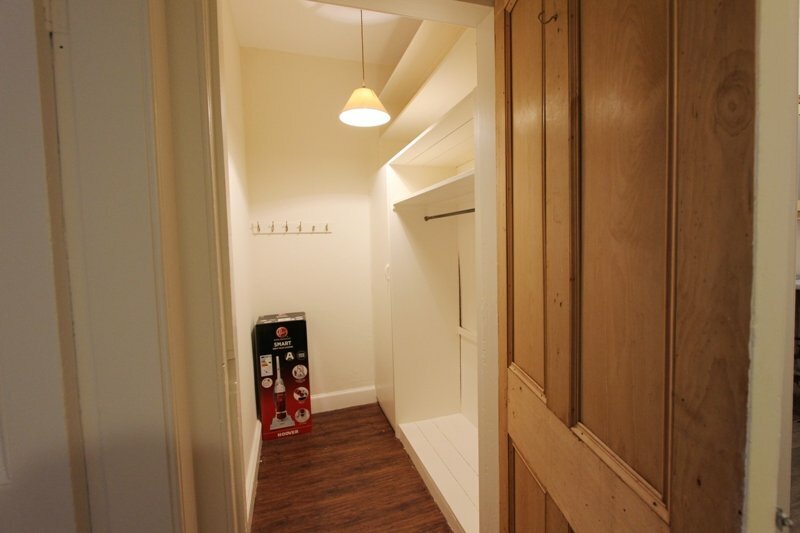 The practical attic space provides additional storage space, access to the roof and an option to extend, subject to the necessary planning permissions being applied for by the purchaser. 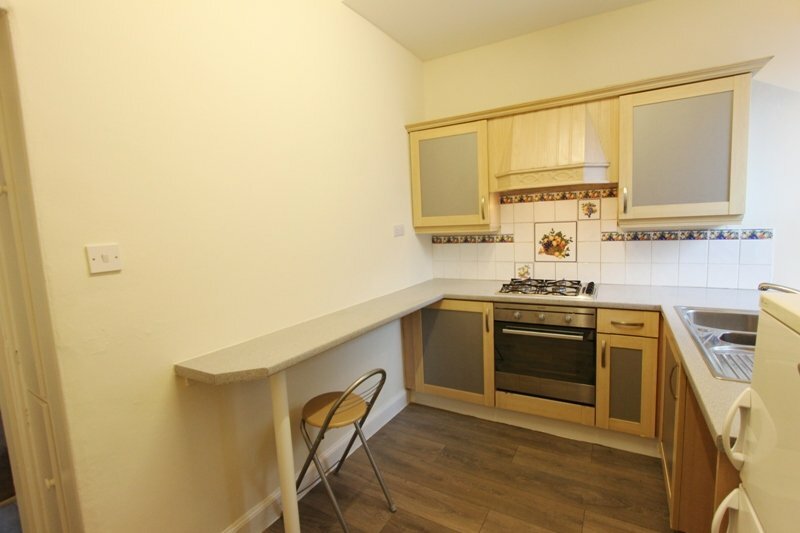 This property would make an ideal rental property, in a much sought-after rental area and would easily achieve a rental of £600pcm. 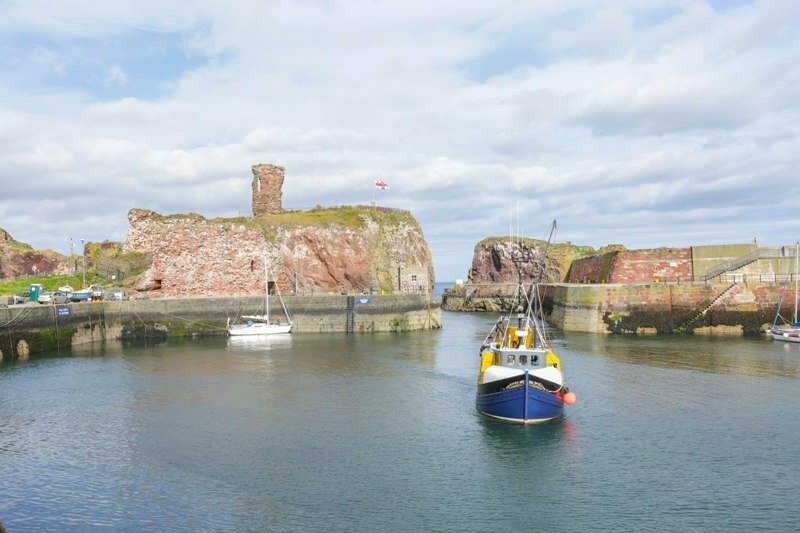 Dunbar is a vibrant coastal town on the edge of East Lothian, offering an easy 30 minute commute to Edinburgh City Centre via the A1 dual carriageway, or 25 minute commute via the main line railway. 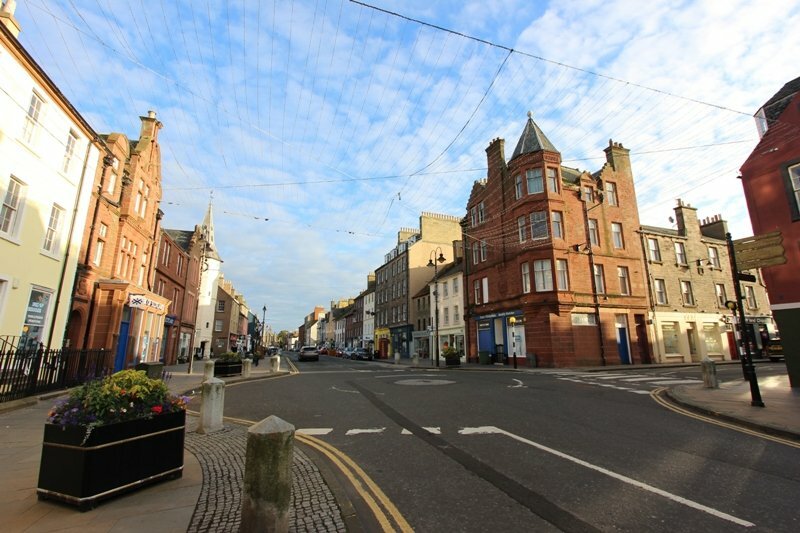 Offering a wealth of leisure pursuits, outdoor activities and shopping amenities, including a range of small boutiques, large supermarkets and locally supplied grocers, which all provide a lovely community feel to the area. The buyer can be reassured that the existing owner has very recently attended to various roof works, with helpful cooperation from all other owners in stair and receipts can be provided upon request. As part of the upgrade works, the kitchen ceiling has been renewed, with smoke and heat detectors installed throughout. All Offers should be submitted within the format of the Scottish Standard Clauses Edition 2 to the Agent, in the first instance. Verified copies of identity for the buyer should also be included with any offers in line with the current AMLR requirements for Estate Agency Business.